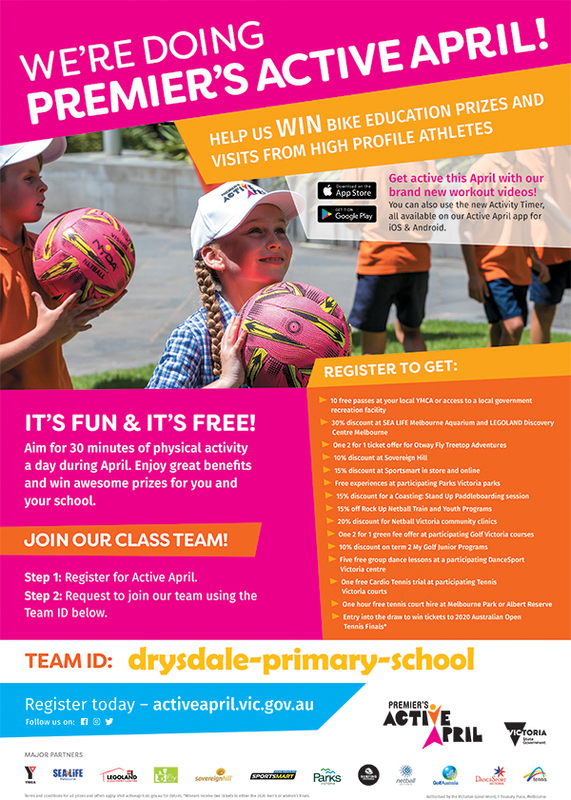 Mr Sinnott has registered Drysdale Primary School in the Premier’s Active April, an initiative that encourages all Victorians to do 30 minutes of physical activity a day during April. It’s free, it’s fun and there are lots of freebies, discounts and resources for all participants. Read more to find out how to join the Drysdale Primary School team to help us earn some excellent prizes, such as Bike Ed resources and visits from high profile athletes.